Liverpool Property Developer and FSL client, Downing Developments, has recently picked up the title of “Best Tall Building in the World” at a prestigious awards event in Chicago, USA. The Council on Tall Buildings and Urban Habitat (CTBUH), which is represented by a panel of architects and engineers, presented Downing with the award for Broadcasting Place in Leeds, after they beat stiff competition from around the world. 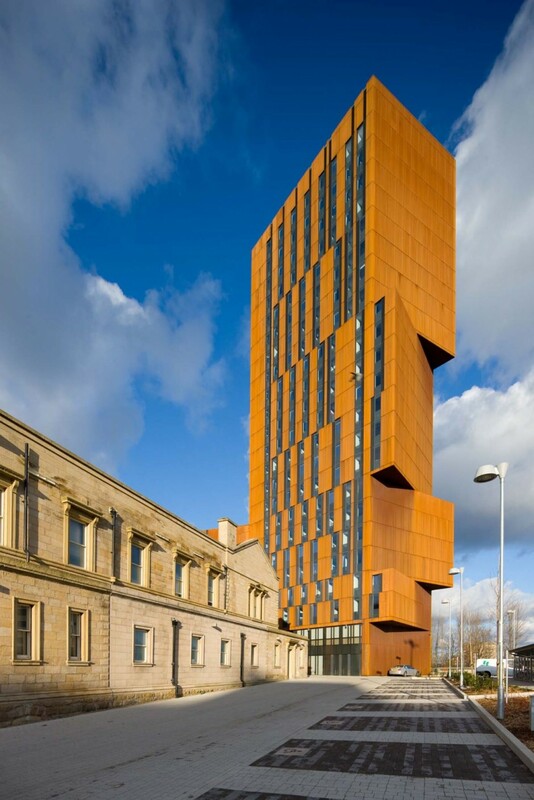 The building, designed by Feilden Clegg Bradley Architects and built by George Downing Construction, is clad in Cor-Ten steel which over time adopts a deep-red colour presenting a stunning visual effect. The 23-storey building, and its ancillary space, was surveyed last year by Formby Surveys as part of an area referencing exercise for Downing Developments in order to provide Leeds Metropolitan University (the new occupiers) with accurate area calculations for each floor. The survey was undertaken in accordance with the RICS Code of Measuring Practice (6th Ed. ), with the results delivered as plan and spreadsheet data. You can read more about our Area Referencing service on our Property Services page. Further information can be found on Broadcasting place and Downings in the news section of their website.